As part of our mission to protect and assist the victims of war and other violence, the International Committee of the Red Cross (ICRC) seeks to ensure respect for their rights. This includes reminding authorities and others of their legal obligations under international humanitarian law and international human rights law. 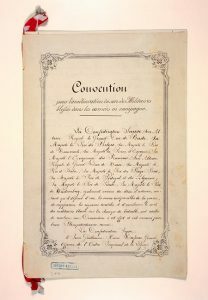 The original Geneva Convention was signed by representatives from 16 countries in 1864. Since then, the ICRC has played a central role in promoting and developing international humanitarian law, which protects people during conflict and enshrines their right to humanitarian aid. We continue to play an active role in developing new rules to reduce human suffering, while striving to ensure that the existing rules are upheld. Warfare and weaponry have changed. But the international community is more aware of the suffering caused by war, in part because of work by the ICRC and other members of the movement. In 2011, for example, the Movement and the States party to the Geneva Conventions adopted a four-year action plan drawn up by the ICRC. 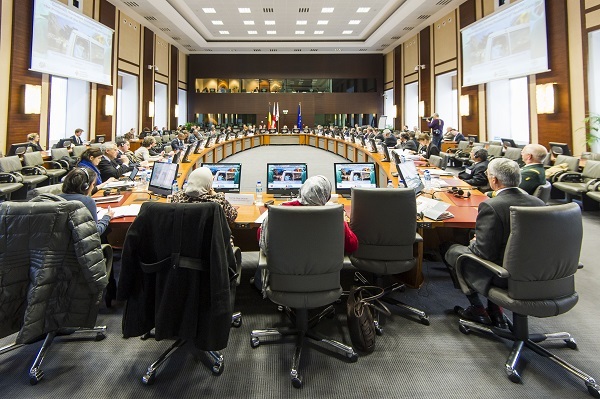 The plan aimed to improve access by civilians to humanitarian aid and enhance protection for certain categories of people, such as children, women, people with disabilities and journalists. The four Geneva Conventions of 1949 and the three Additional Protocols of 1977 and 2005 are complemented by other important treaties. These include treaties that prohibit the use of weapons that cause unacceptable harm, such as: exploding bullets (1868), expanding bullets (1899), chemical and biological weapons (1925, 1972 and 1993), munitions using undetectable fragments (1980), blinding laser weapons (1995), anti-personnel mines (1997) and cluster munitions (2008). There are also treaties that limit the use of certain weapons, for example incendiary weapons (1980), without prohibiting these weapons outright. The founding of the ICRC is directly linked to the original Geneva Convention for the Amelioration of the Condition of Wounded in Aries in the Field. 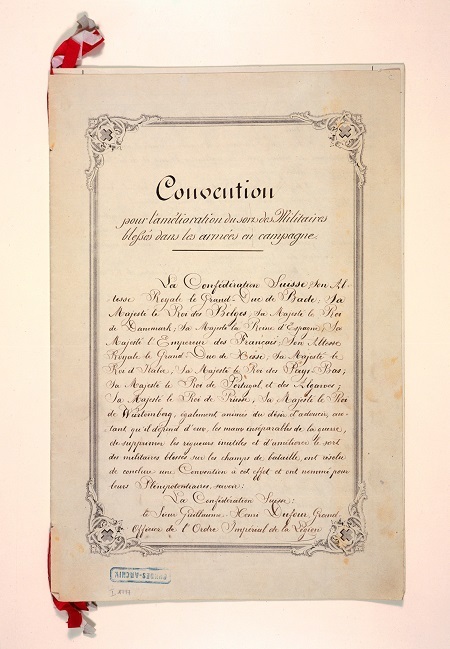 The Convention laid the foundation for a body of law that protects people in wartime. Despite the changing nature of warfare and weaponry, humanitarian law must be complied with at all times. Yet applying existing rules to a new technology is not always straightforward. Are the rules sufficiently clear about this technology? What will be its impact? The ICRC regularly contributes to discussions about these weapons and the challenges they post to humanitarian law.